The Master Lock security safe T0-331 is supplied with a carpeted interior to prevent your valuables from scratches and is secured by 3 live-locking bolts. 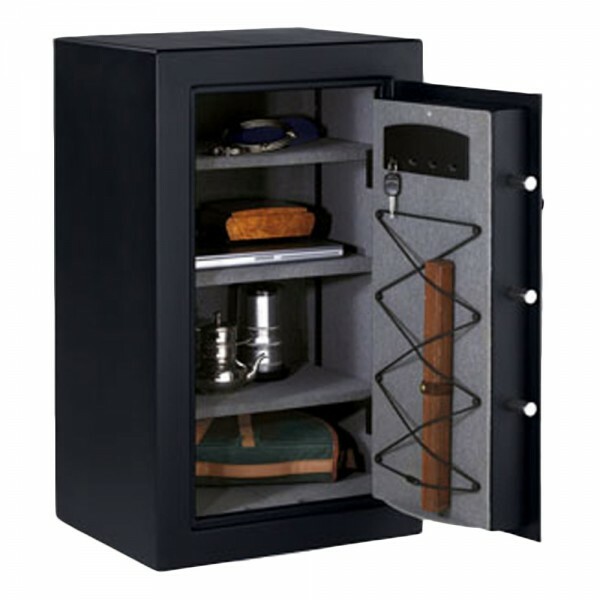 Ideal for protecting cash and valuables from burglary and has a recommended cash rating of £1000. It is fitted with an electronic lock and has a key override option which is supplied with 2 keys. 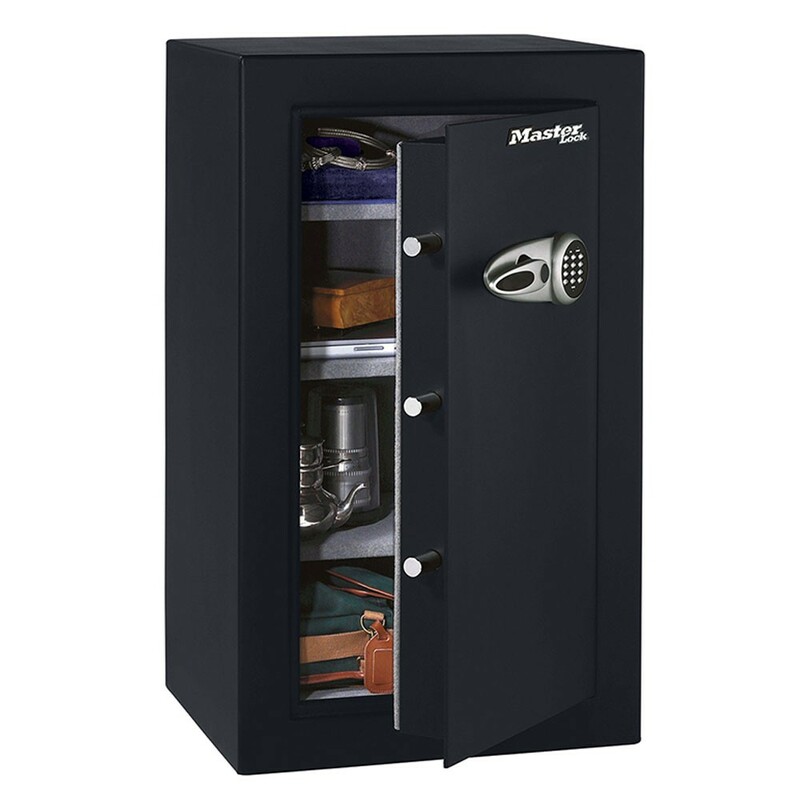 The Master Lock security safe T0-331 is made from a 3mm solid steel wall, 6mm thick door and has concealed hinges for additional security. On the inside door panel, it has bungee elasticated straps and hooks for securing keys. Fixing bolts to secure it onto the wall or floor to added security are included with safe.